As the summer heat melts away and the breeze picks up, we recognize the footprints of fall across the city. The new season is welcomed with the sounds of Saints fans cheering and kids playing outside in the cool weather. A great way to accommodate the change of season is to make your home reflect it! While this process can be fun, it can also be a headache trying to find new arrangements and ideas to keep things fresh but, believe it or not, there are lots of options when it comes to fall decor. 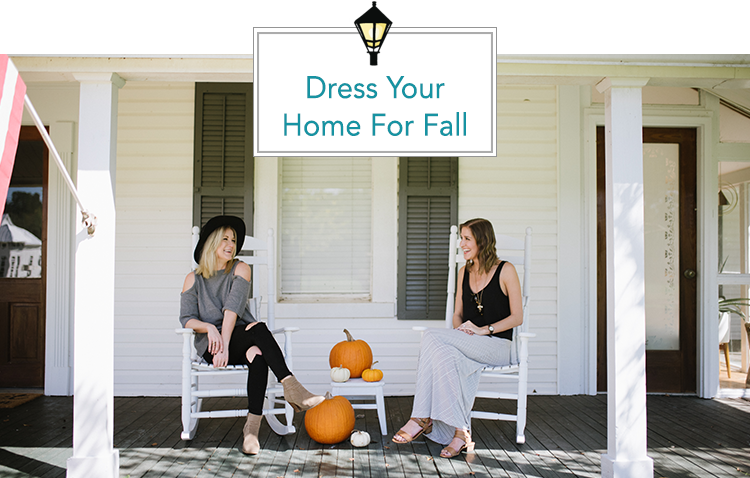 We’ve compiled seven tips so that your home will look the part: cozy and refreshing, like fall itself. Each season has its own associations, feelings, and colors — so use them! Because of the change in weather and leaves, earthy colors are most appropriate for fall. Use oranges, browns and deep reds wherever you can: pillows, throws, flowers, wreaths and accessories. Don’t be fooled by stores putting out Halloween decorations around this time: fall extends beyond Halloween to Thanksgiving. So if you only decorate with witches, jack o’ lanterns and black cats, then your house might look outdated by the end of October. Have a balance between Halloween and fall decorations so that you aren’t redoing everything so soon. Some things just scream fall: pumpkins, scarecrows, haystacks and colorful leaves. You’ll want to incorporate these into your decorations as much as possible: pumpkins look great around a threshold or fireplace, a tiny (not scary!) scarecrow makes a cute lawn ornament, and bright leaves complement neutral backgrounds perfectly. We know you can only use pumpkins in so many places. Once you’ve exhausted the motifs, move on to fall’s other claim to fame: football! 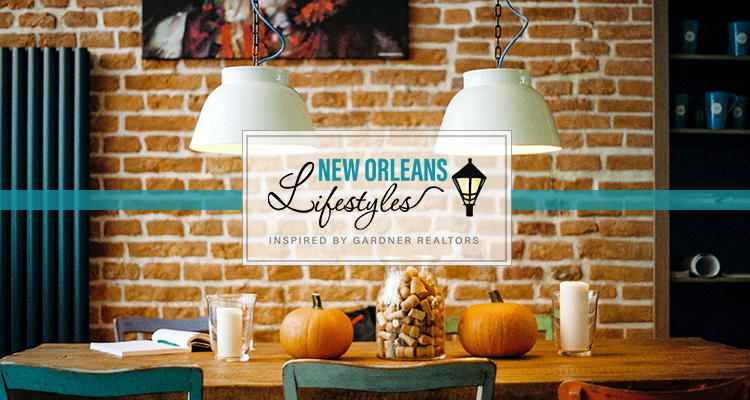 Black and gold, purple and gold, red and blue, fleur de lis, or any other football paraphernalia will accent nicely with the rustic color of fall. The perfect place to combine the natural elements of fall with its earthy colors is a wreath! You can capture the feel of fall by using nature’s decor: tiny pumpkins, walnuts, acorns and cinnamon sticks. With pumpkins all over the place, you might as well break up their uniformity by choosing different kinds and decorating them individually. You can go for a monogram look by carving or etching initials, make a polka dot design and insert a candle for a luminous display, or paint your favorite colors (black and gold!). A centerpiece should be your go-to decoration for fall because the darker oranges and browns look even bolder against a neutral tablecloth. From flowers and candles to nuts and wine corks, the options are endless! Happy Fall and happy decorating!